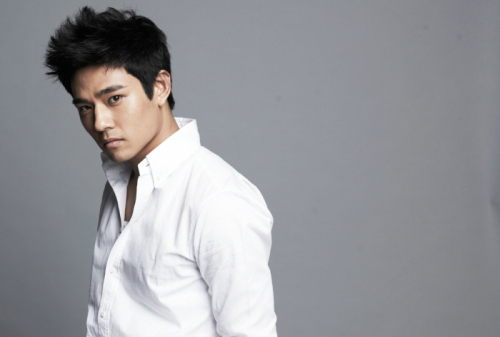 Rookie actor Im Yoon-ho from the MBC drama "7th Grade Civil Servant" left a strong impression on the viewers. Im Yoon-ho took on the role of Woo-jin, genius spy Choi Woo-hyeok's (Uhm Tae-woong) younger brother in "7th Grade Civil Servant". He intensified the drama in the sixth episode by burning with revenge, carrying around the remains of his brother who died a year ago in a little pack. Seeking bloody revenge, he stabbed Han Gil-ro's (Joo Won) father Han Joo-man (Dok-go Young-jae) in the elevator and engaged in action combat with Gil-ro and NIS agent Do-ha (Hwang Chan-sung). Im Yoon-ho made a strong appearance in the drama and froze everyone watching him. Born in 1989, he's built with strength and is also an outstanding student who attended the state university of New York. The drama production claims, "We feel a dangerous rookie has been born. He was cast the second he was seen". Writer Cheon Seong-il said, "We are expecting a lot from him. We anticipate his performance in "7th Grade Civil Servant". "Im Yoon-ho, a charismatic appearance"